I know this is usually about art and teaching art but I am so excited about this I just had to share. This is one of my absolutely favorite albums of all time and I just got my record player hooked up where I can use it more frequently. This made my week! This summer I resurrected my love of printmaking by creating my own series of greeting cards. 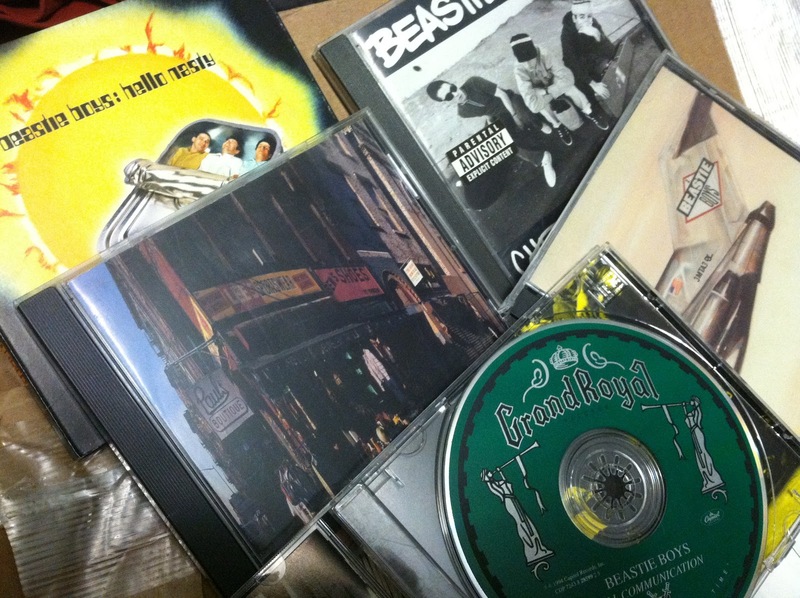 The idea is to get these on etsy.com at some point in the near future. I am trying to amass enough of them to sell them in sets, and this does take some time to do. I can’t complain but, I have art coming out my ears right now and am having a hard time keeping up with the ideas, so therefore etsy will have to wait a little longer. 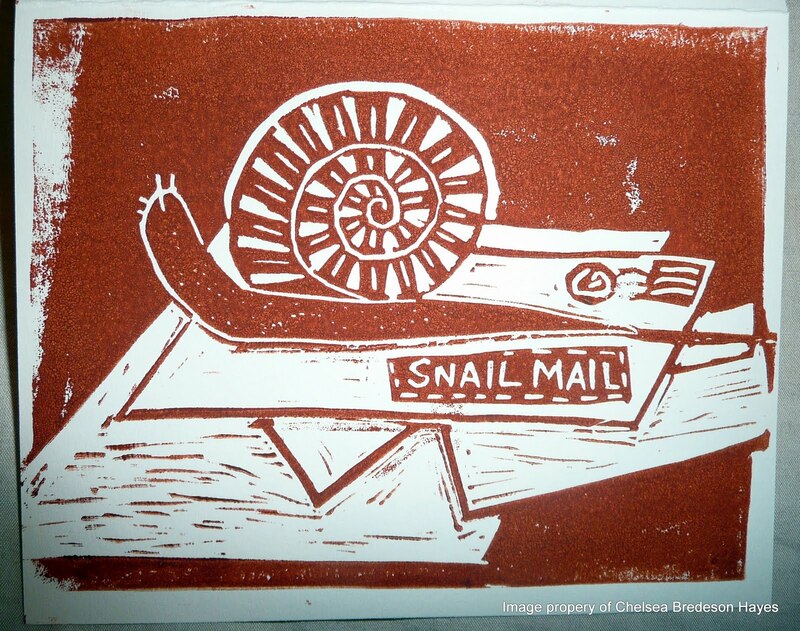 Snail Mail greeting card, block print, 2009. 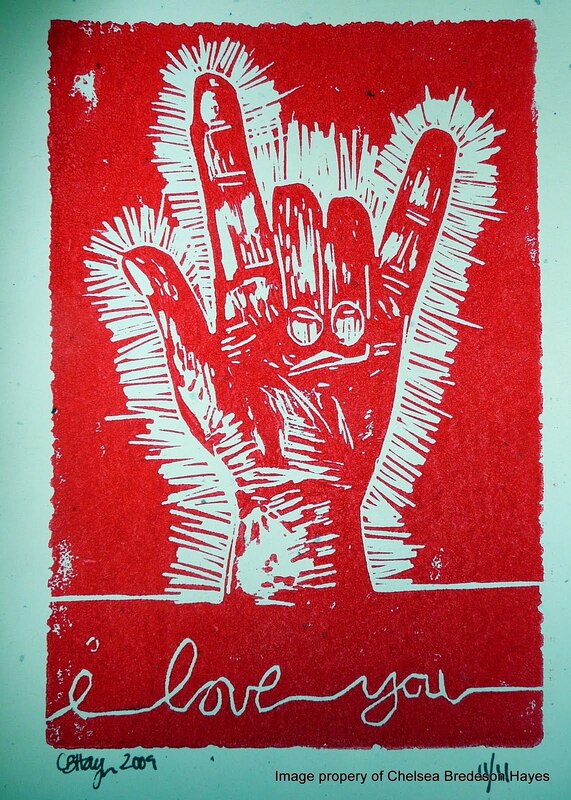 I Love You greeting card, block print, 2009. 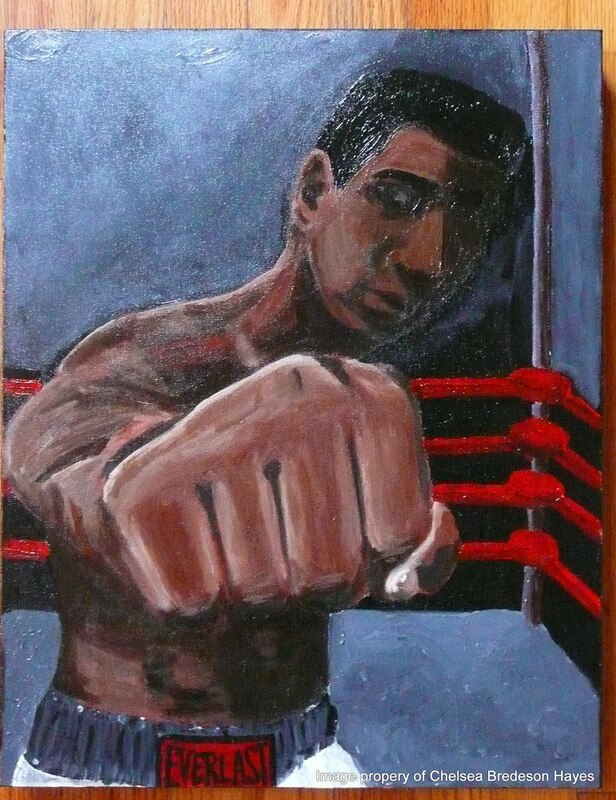 Ali, acrylic on canvas, 18 x 24″, 2009. I finally finished the painting for Teddy. It has been at least two years in the making. During the making of this painting, I realized that it had been a long time since I had worked in the portrait genre and was a little rusty. In the end, I am just glad it looks like a boxer. The face was painted and repainted many many times. It was a great experience, yet I am glad the painting is complete.